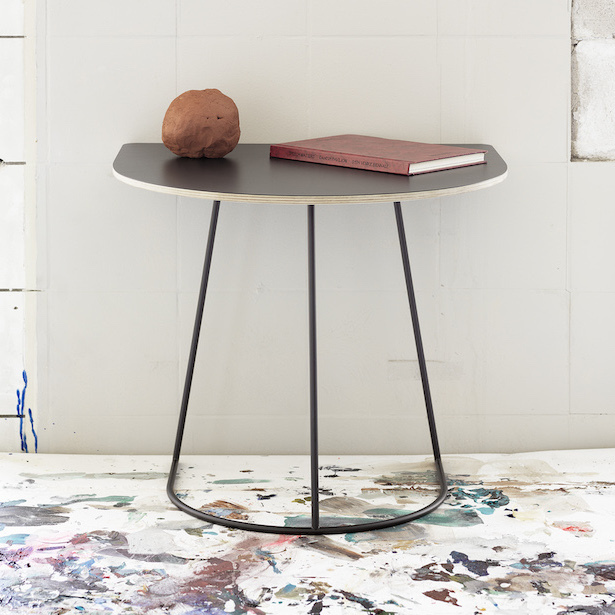 The Airy side tables have been designed for Muuto by Cecilie Manz (see Caravaggio pendants, Essay table, Minuscule chair, ...) one of the leading designers in Scandinavia. 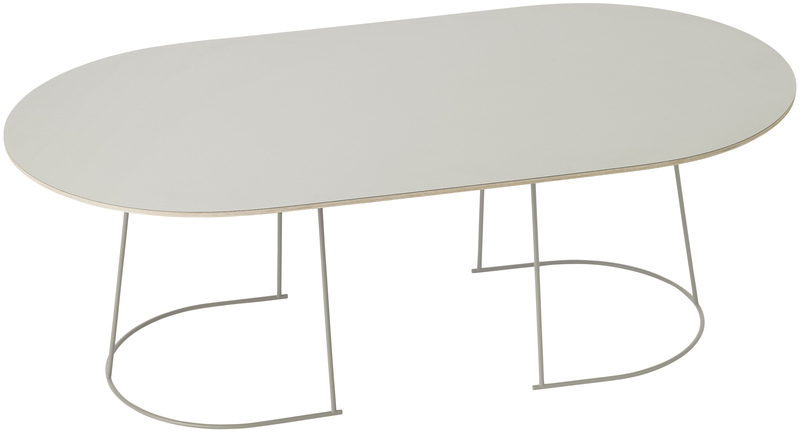 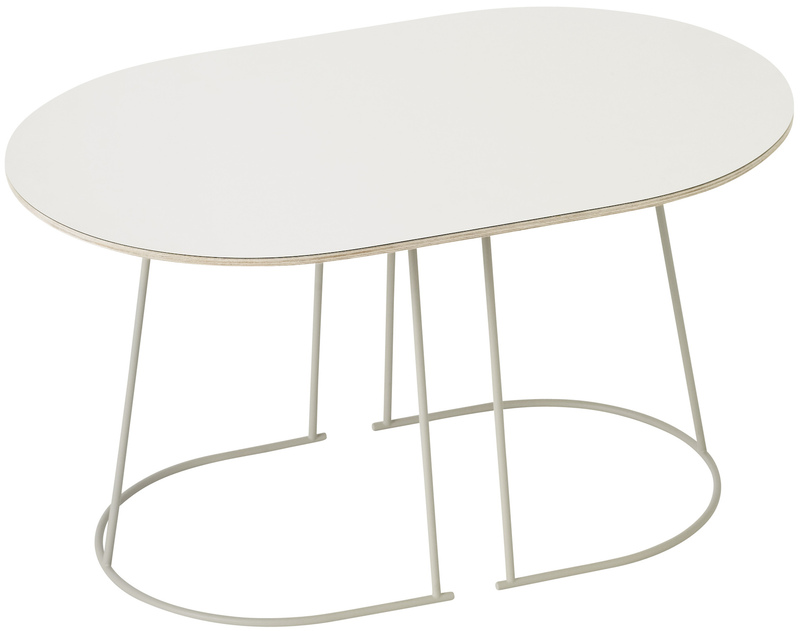 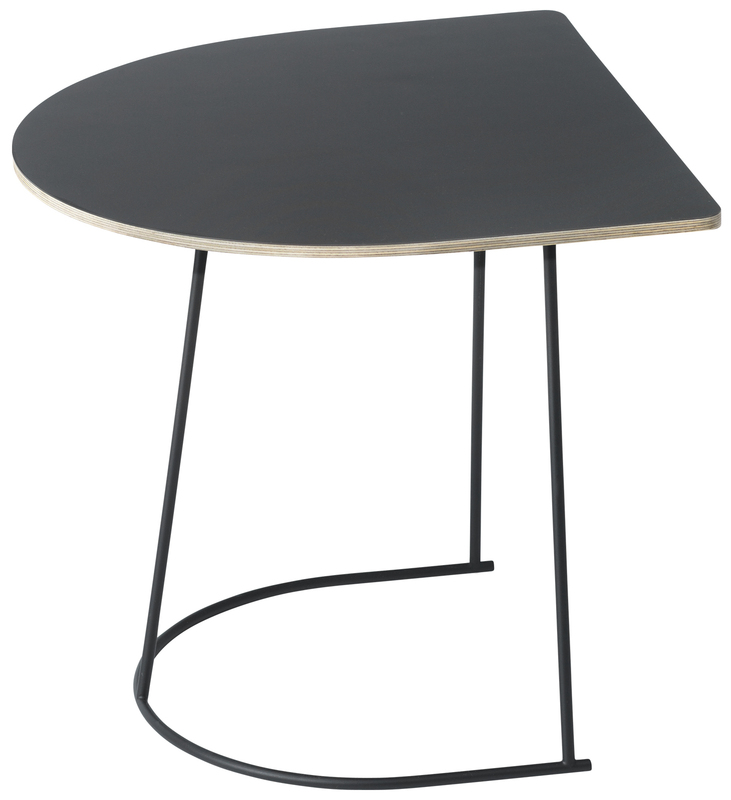 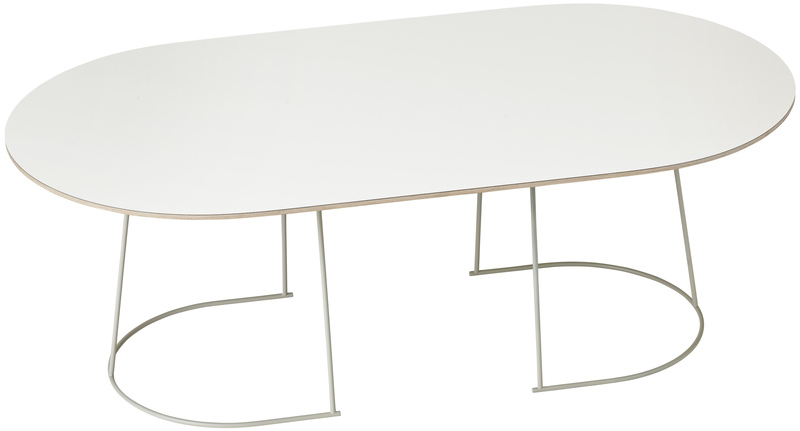 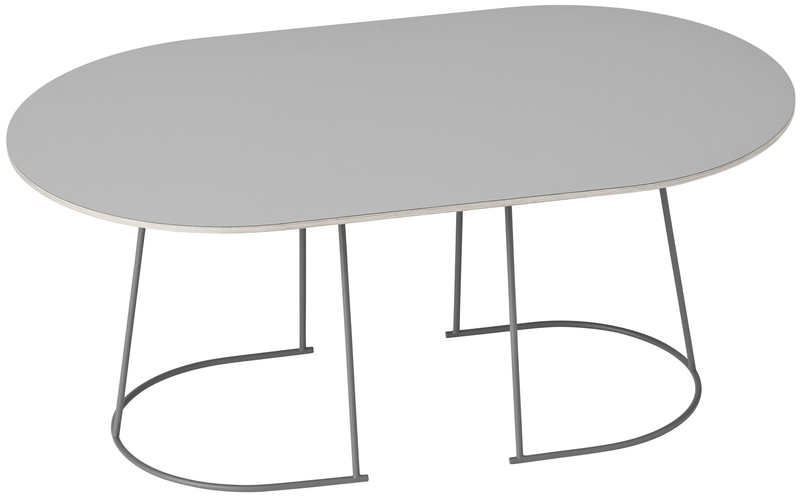 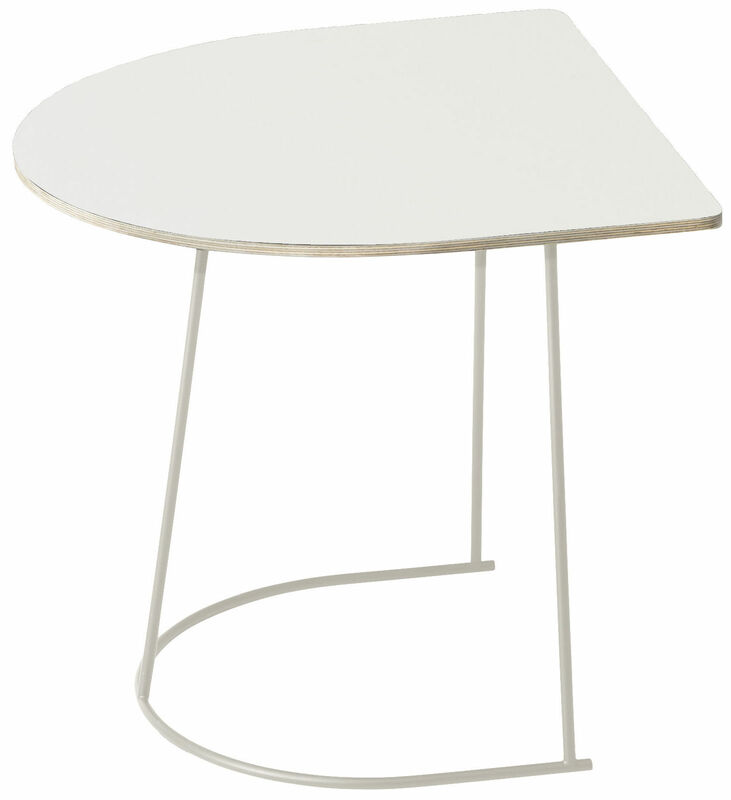 Airy consists of a polished plywood table top and a metal frame that is welded and soldered very accurately to create a light and skinny silhouette. 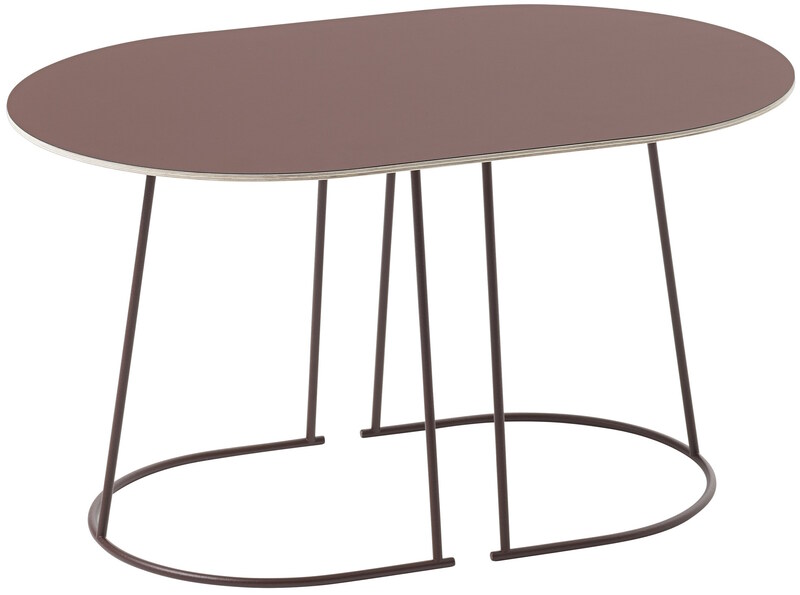 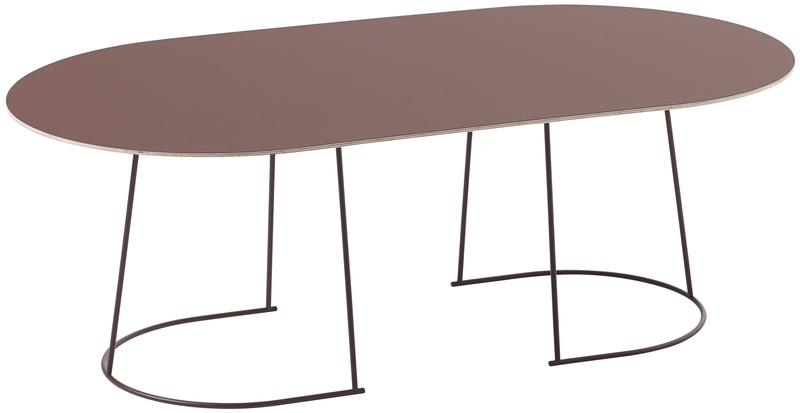 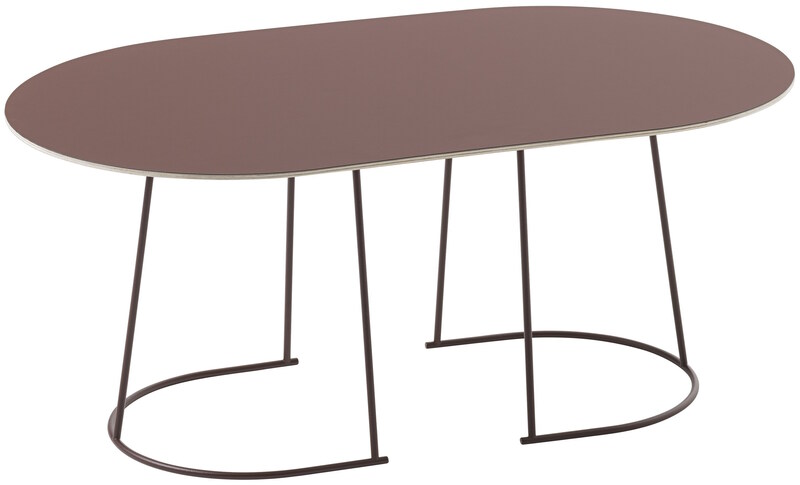 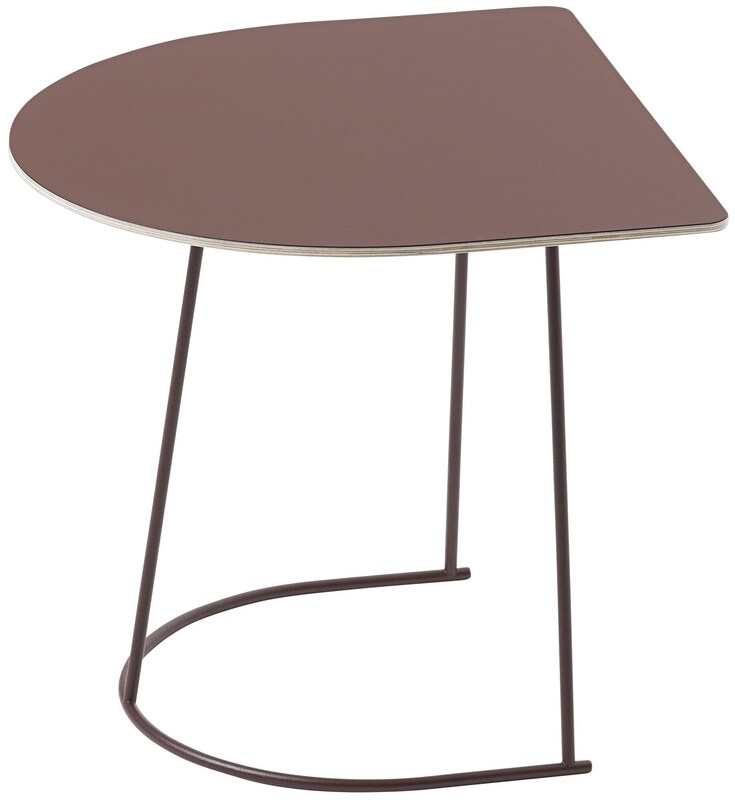 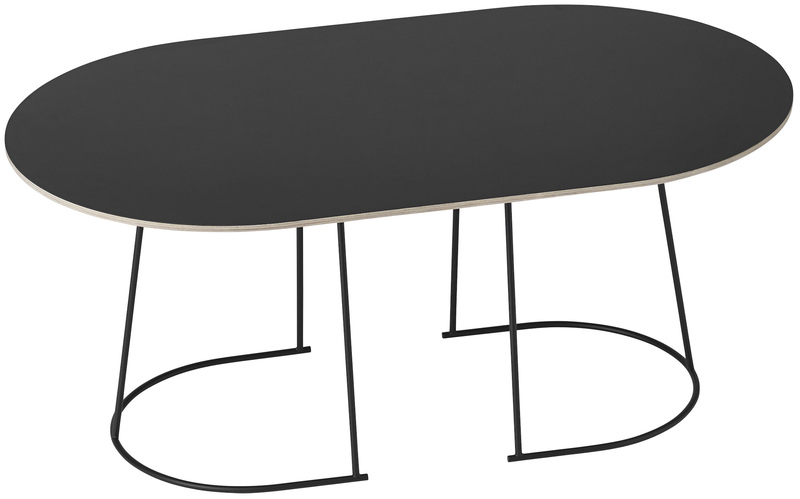 The tables come in 4 different sizes and shapes and 4 different soft colors (grey, black, off-white and plum). 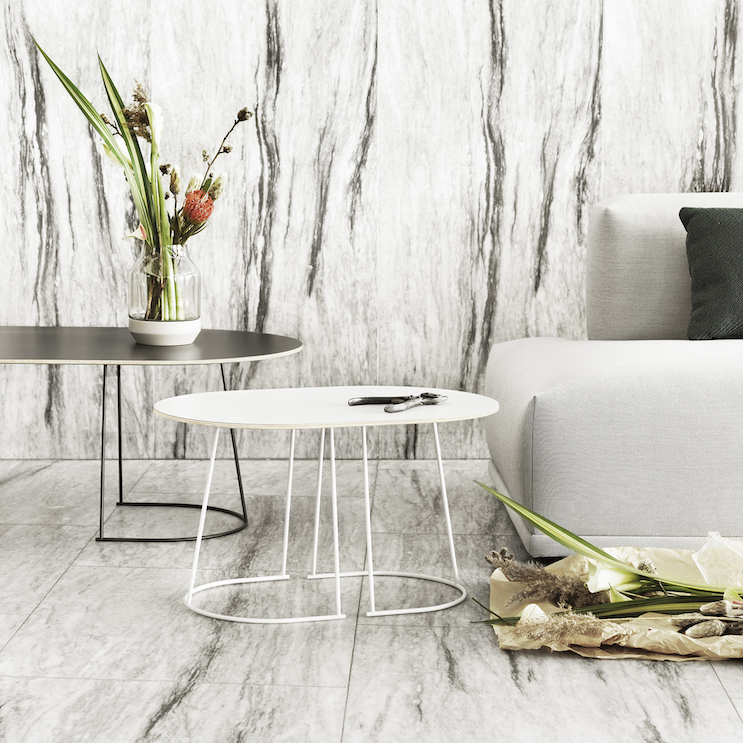 Airy looks its best when mixing and combining different sizes, shapes and colors.